Our friends over at Gage Marine asked us to help with a VIP Event they had planned last week. 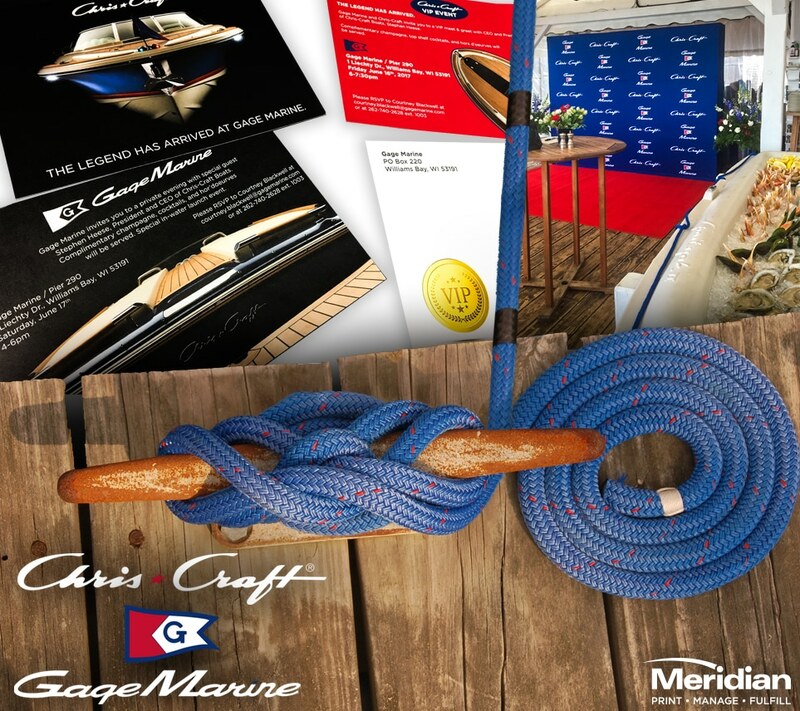 Gage has recently partnered with legendary Chris-Craft to be their #1 dealer in the Geneva Lakes Area! They invited Steve Heese, President and CEO of Chris Craft Boats for complimentary champagne, cocktails and hors’ doeurves, plus a special in-water boat show! Meridian Direct printed and mailed custom envelopes and invites, plus a HUGE 10ft Step N Repeat Backdrop for exclusive, Hollywood-style photographs.